The project of creating a Museum of Contemporary Art in Kraków, which had been discussed for years both within the artistic community and local government, finally became reality towards the end of 2004, when Gmina Miejska Kraków (the Municipality of Kraków) took over and bought the land and buildings on the site of the former Schindler’s Factory at Lipowa Street 4, with the intention of providing a home for the future institution. Introducing contemporary art into industrial space has been a worldwide practice. To revitalise post-industrial sites through cultural usage, and in particular as contemporary museums, has been one of the key priorities of European cultural policy. With these objectives in mind, the President of the Municipality of Kraków, Jacek Majchrowski, applied, in May 2005, for part financing of the Museum of Contemporary Art from the funds of the Ministry of Culture. 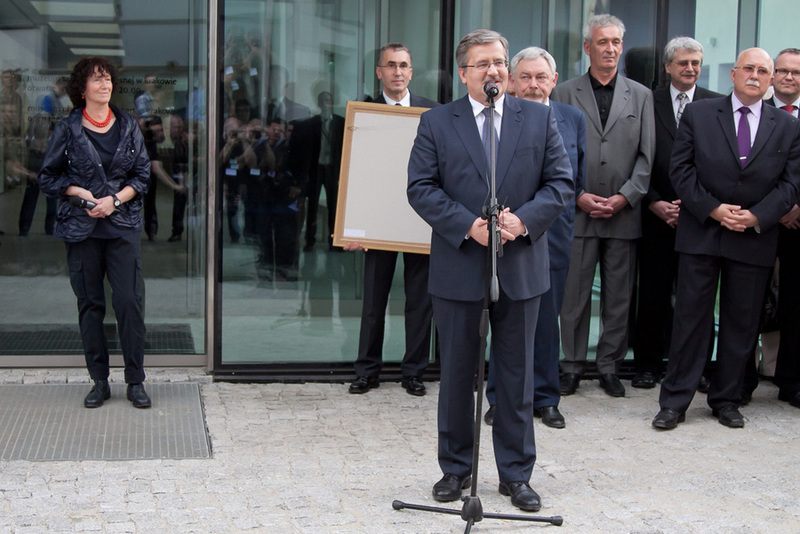 The Minister, Waldemar Dąbrowski, allocated the subsidy of 4 milion PLN to the project. At the end of August 2005, the President and the Minister signed an agreement concerning subsidy for the Museum of Contemporary Art project. In 2007, an 11-strong jury, led by Professor Konrad Kucz-Kuczyński, concluded the competition for the design of the Museum building by selecting the design by Claudio Nardi and Leonard Maria Proli. The project, produced by the architectural office Claudio Nardi Architetto, involves erecting a new building on the site of the old Schindler’s Factory, and adapting six other existing buildings. The design will provide a total of about 10 000 m2 of usable floor space. The construction work began in mid-2009. The construction work, which will cost in excess of 70 million PLN, is 50 per cent-funded by the European Union. 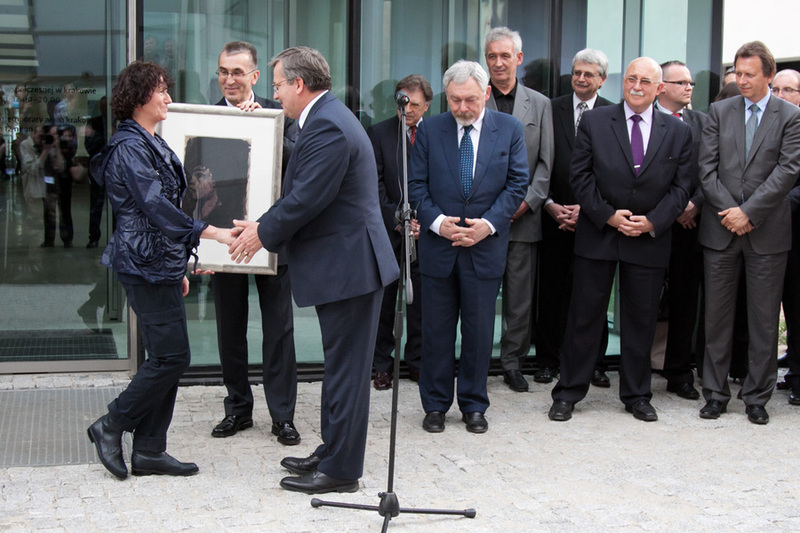 The opening of the MOCAK building took place on the 16th of November 2010. 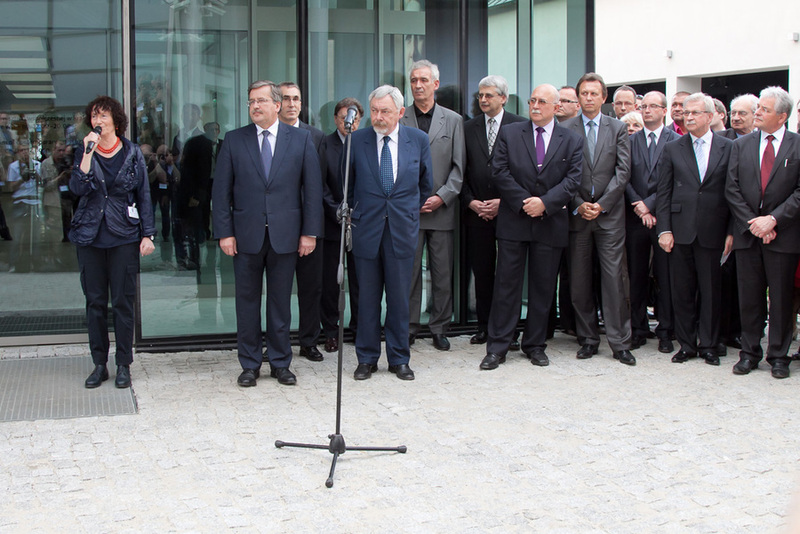 On the 19th May 2011 a formal opening of the Museum took place, as well as the presentation of the first six exhibitions. 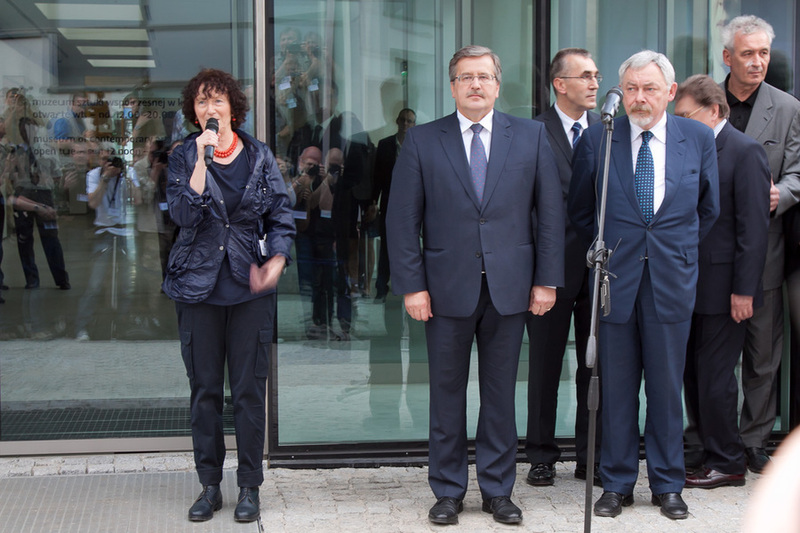 Thousands of visitors came to MOCAK on the day, including the President of Poland - Bronisław Komorowski.